Ladakh has one of the best adventurous trekking routes in the world. With entire range of Himalayas visible: White Mountain peaks, remote villages and monasteries, magnificent valleys, high passes. 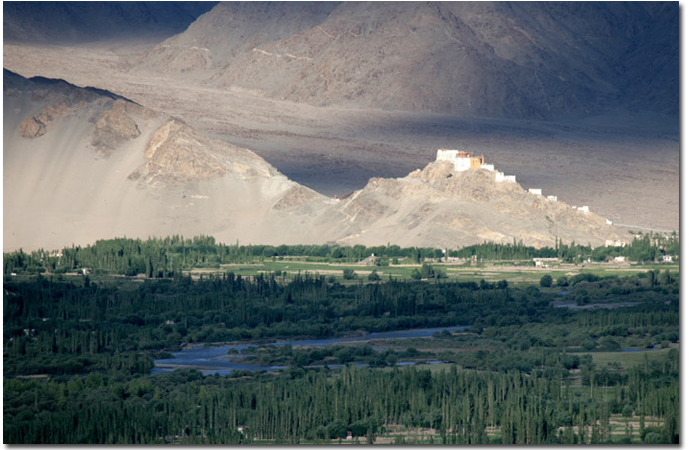 Ladakh name suggest "The land of high passes" and also known as Trans Himalayan Region. Ladakh is dominated by the Zanskar, Ladakh and Stok ranges. Ladakh is classified as a 'mountain desert'. When not blanketed in snow, the color is palette of browns, beiges and golden yellows with the mineral content lending accents of jade and pinkish maroon. The Mountains are rocky, barren granite of many hues, with interesting fortress-like formations and shapes that wind erosion creates. The majestic snowcapped Himalayas includes Nun (7135 m) and Kun (7077 m) that are the highest peaks in Zanskar Valley.